Where to Park Your Car in Barcelona. Area Verde (Green Area) is parking space for residents only, from 8am to 8pm (sometimes 24/h). Area Preferent (Preferred Area) accept all kinds, but non-residents pay higher rates (2.68€ and 2.94€ per hour) and the parking is limited to 1 to 2 hours and from 8am to 8pm and for 1 to 2 hours. Area Blava (Blue Area) is accessible to all vehicles, but with time restrictions (1 to 4 hours) from 8am to 8pm, Monday to Friday. The rates of the green zone range between 1.08 euro and 2.94 euros per hour, depending on the area (A, B, C or D). It is possible to park in these areas for free starting from 8pm to 8am, but always read the related sign before leaving your car. Area Carga/Descarga (Loading/Unloading), marked in yellow, is reserved to commercial transports and limited to 30mins. It is free at night with timetables depending on the sign. It is important to respect the rules of the parking areas because the chances to have your car removed by a tow truck are high. If your car has been removed, a yellow triangle shape sticker is left on the spot with the documentation required to collect the vehicle. The correspondent fine is of 174 euros. The easiest and safest way to park you car is in a secure parking garage with access 24/h and with surveillance. You can find many parking garages all over the city. The daily rates vary from 30€ to 45€ per day depending on the area. Did you book an apartment in Barcelona? 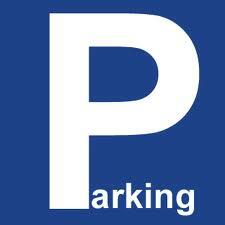 Use this online application to find the closest parking garage to your Barcelona Apartment. In Apartment Barcelona we have a limited number of parking places in garages with surveillance that you can rent for 25€ per day and are conveniently located near our beach apartments in Barcelona. It is not possible to book one together with the apartment, but due to the high rotation of guests, it’s easy to find an available parking card. Ask our staff when you check in. If our parking spaces should all happen to be booked, here’s a list of parking services that have better deals than regular parking garages and are not far from the beach area. And a last recommendation: please keep an eye to your belongings when traveling. Never store valuable goods on the back seats or always make sure rear doors are locked. Thieves could open your doors with a distractions while you are stuck at the traffic lights or in a jam, even in the most respectable avenues. If approached by unknowns with the excuse of an indication and you know the the way and want to help, never leave the car area. A partner in crime could be lurking around the corner to open your car when you are busy being helpful. This entry was posted in Home, Transportation & Services and tagged barcelona discounts, car parking in barcelona, parking in barcelona, parking spaces, rates, secure parking garages, security. Bookmark the permalink.